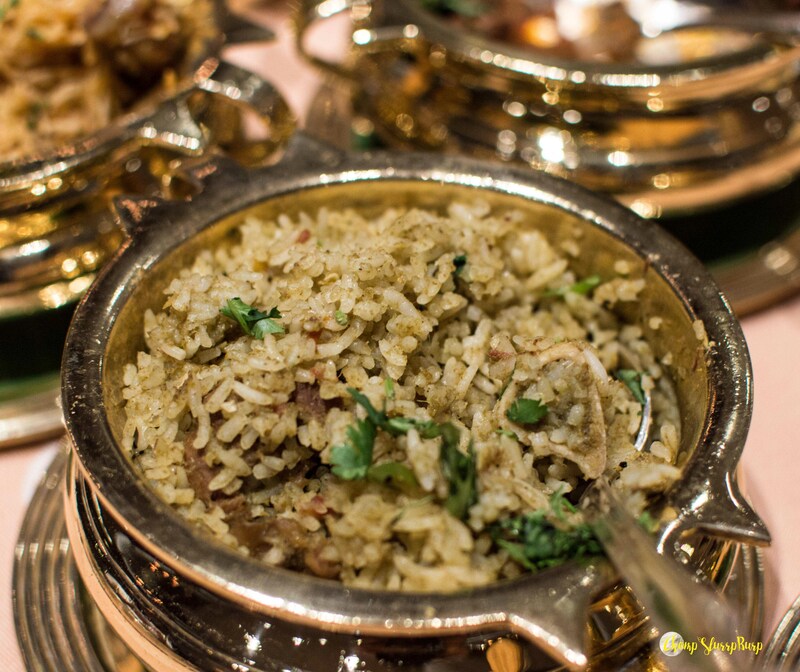 Vivdha Annam - a world of biryanis at DAKSHIN - CHOMP! SLURRP! BURP! Move over the regular Hyderabadi, Lucknowi and Bengali biryani, there is a whole new world down South which is absolutely untouched. Even though the most famous biryani, Hyderabadi Kacchi and Pukki, comes from the Southern part of the country, there are so many delectable flavors to tickle your palate which remains unearthed. Chef Venu of Dakshin, WelcomHotel Sheraton curated a beautiful menu showcasing some of the best biryanis – including Kai Kari Thengah Saadam – a very homely preparation with coconut vegetable stew and rice; Mutta Biryani – unlike popular opinion of this being mutton based, this is cooked with egg, green chillies and caramelised onions; Mewa Biryani – rich mutton biryani, with dry fruits and served with sambol and jam. We started with fresh coconut water, a basket of assorted papadum accompanied by the freshest chutneys – coconut, tamarind, tomato garlic and chilly and a bowl of hot rasam with a distinct flavor of ginger. We began this lunch feast with some of the classics from Dakshin – Chettinad style mutton chops and prawns. Freshest prawns battered and fried with curry leaves, try these with their tomato and garlic chutney. The mutton chop, firstly, what an excellent cut, exquisitely cooked off the bone meat, tossed with grated coconut paste and fried curry leaves. Their classics also include Kerala vegetable stew and Mutton roast with hot and fluffy appams. The vegetable stew with crunchy vegetables and a thin coconut curry is so perfect for a Summer’s day brunch. And the meaty mutton roast with chunky boneless pieces, lathered with a thick roasted tomato masala went so well with the appam. We tried three of their brilliant creations. Starting with the Idiyappam Kozhi Biryani – chicken biryani made with rice string hoppers. The texture of string hoppers with remind you of the semolina seviyan but these are more like really, really thin rice noodles. Again, so very novel, delicate and delectable. Sigdi Pulao – this was my personal favorite from the lot, rice cooked with juicy prawns and mild spices. The pulao is a very simple and homely preparation but packs so much love and deliciousness. Thalapakattu Biryani – this is the Chef’s ode to one of the most popular biryani chains Tamil Nadu. A hearty mutton biryani cooked with mint and whole spices, this is unlike any other preparation with lots of spices so team it with one of their cooler raitas. 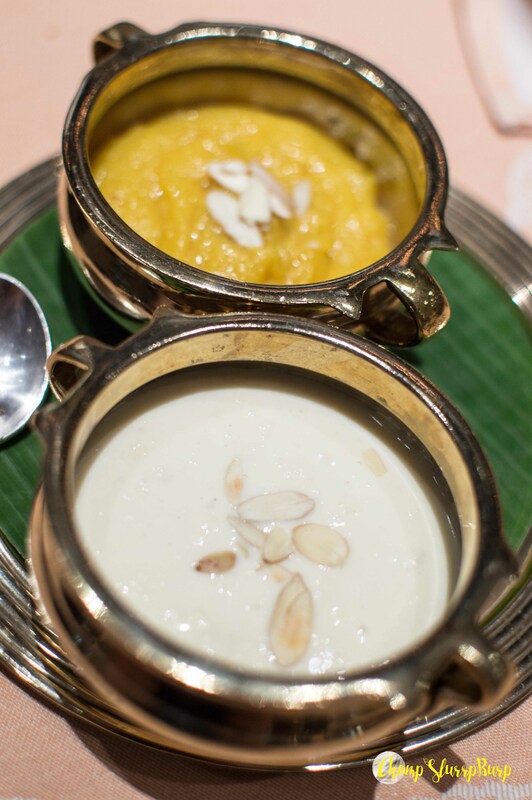 We wound up this feasty meal with two authentic South Indian desserts – Payassam and Basundi. 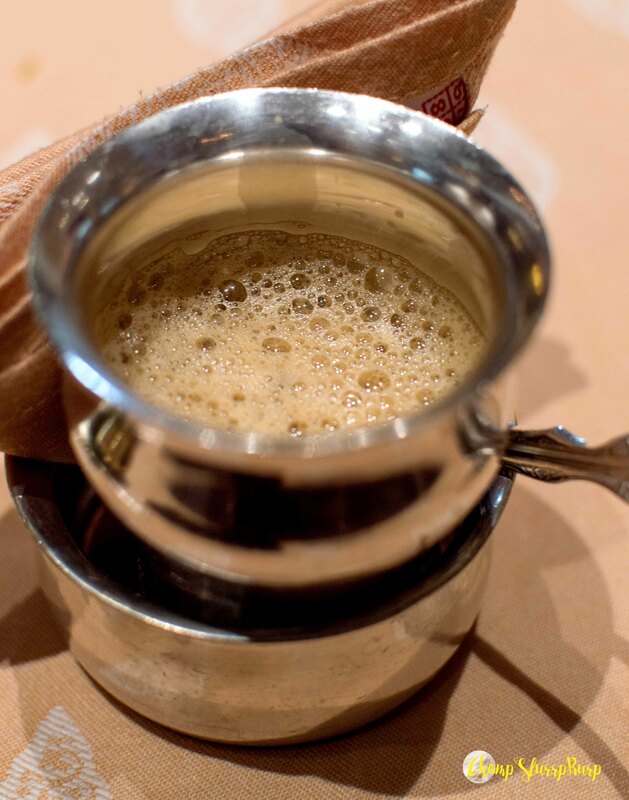 And of course, filter coffee. Dakshin offers some of the best of South Indian the city has to offer. Their appams are insane and the curries are absolutely spiffing. Look out for the next edition of their biryani festival because these delicacies are certainly not to be missed.